Welcome to Ask WNW on steroids... the 363rd installment of the WNW Premium Mailbag. This installment features questions that were sent from Friday, November 21, 2014 to Saturday, November 29, 2014. This feature is exclusive to WNW Premium Members and unlike the majority of Mailbags, this one is in written format. If you have a question that you would like to be included in the next installment of the WNW Premium Mailbag, click here to send now. 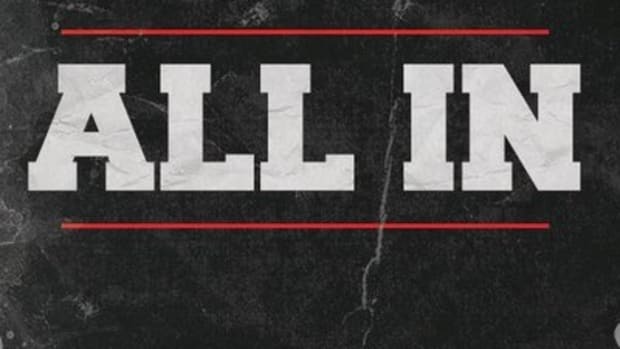 What’s your take on CM Punk “telling all” in the interview with Colt Cabana? When I saw that CM Punk “told all” in an exclusive interview with Colt Cabana my first reaction was, what terrible timing. The day before a major US holiday and at the time when I was trying to get some time away from work. Then I realized it would give us plenty of content to write about and analyze, so it was truly a double edge sword. CJ Blaze did a phenomenal job of going back through and transcribing the entire thing at this link. His article is worth going back and reading and will probably answer a lot of questions, at least from Punk’s perspective. As for my thoughts on his comments, it’s Punk being Punk. He’s a very opinionated person with a strong personality. Some people love him and others hate him. It’s like that with his fans, his former co-workers and even into his personal life. There isn’t much in-between with Punk. Either you see him as a martyr that brought about change through his perseverance or an egomaniacal douchebag. As for my position, I tend to find myself in that gray area, which is where I like to be on pretty much everyone. On one hand, CM Punk changed WWE forever. He paved the way for Daniel Bryan, Seth Rollins, Dean Ambrose, Luke Harper, Erick Rowan and any other independent name that had success outside the company. He overcame so many barriers and cut through so much red tape and was a 434-day WWE Champion. He makes a good case of WWE’s double standard, their protection of very few and the lack of vision for almost anyone else. Punk also told the truth about talent being scared to speak out and highlighted the hypocrisy of the talent Wellness Policy. I agree with all of these things and am glad to see him stand up for that. On the other hand, Punk made a ton of money as a main event superstar, was a 434-day WWE Champion and literally had the world at his finger tips. Yes, I realize he wasn’t at the level of John Cena and maybe not even Randy Orton but he had as much leverage as anyone else. He was paid handsomely, was put in positions to succeed and he could have made a heck of a lot more. I found some of Punk’s statements in regards to money contradictory and I wasn’t a fan of him singling out Ryback. I can do without name-calling in almost every situation and Ryback’s response was equally as unneeded and will do nothing to help him in WWE. At the end of the day, the CM Punk story is a story of tremendous success and one that ended on his own terms. He lost his passion and his drive and he’s moved on. 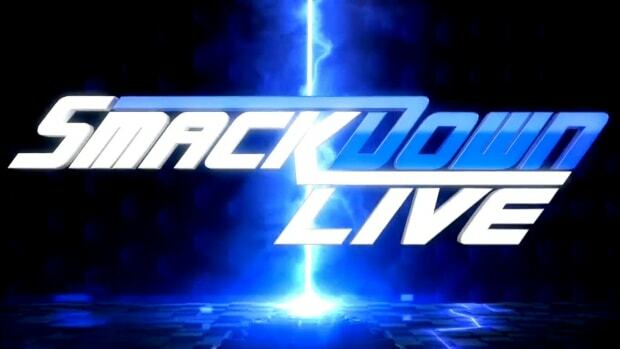 WWE has moved on and we as fans should move on. It does put his wife — AJ Lee — in a bad spot because she still works there but I’m sure they talked things over before he did it. All and all the reason Punk quit is the same reason he became a success. A very opinionated person with a strong personality. It’s a recipe for success and a recipe for controversy. I just hope this gives fans the closure they need. My question is in regards of “Macho Man” Randy Savage. With the new Savage documentary being launched on the WWE Network, do you believe that it is foreshadowing he will finally be inducted in the WWE Hall of Fame next year? “Macho Man” Randy Savage has as good of a chance as anyone as to being inducted into the WWE Hall of Fame next year. He’s a recognizable name that WWE can use to “cash in” on and it’s an honor he deserves. With that being said, whether it’s next year or the year after that or sometime else in the future he’ll never get the closure Ultimate Warrior got. Or what Jake “The Snake” Roberts or Scott Hall got. That saddens me that his issues with Vince McMahon ran so deep the only way to get him off the blacklist was to die. WWE is now using his likeness to profit and should allow for him to take his rightful honor, it’s just unfortunate he’s not here to see it. Did you think Sting seemed nervous or pissed during his debut at Survivor Series? Like it’s not the way he wanted to debut or he had regrets. Everyone I spoke with felt that Sting’s WWE debut was a resounding success. I also heard from more than one person it was an entirely different experience live then how it came across on pay-per-view. I haven’t spoken to anyone close to Sting since last week but I didn’t get the impression he was upset in any way. He could have been nervous — as he’s certainly been reluctant to get tied into the McMahon machine — but it’s now or never. He took out Triple H and helped provide a resolution to The Authority. I’m not sure there is any angle or situation where it could have been bigger. I commend WWE for booking Sting’s debut as a “big deal” and have him be the one that helped end The Authority. If they would have aired some vignette midway through the pay-per-view, I would have still embraced it, but involving him in the show’s main event is far more satisfying. I realize that’s three dirty finishes in three straight pay-per-views but Sting’s debut was so big, it didn’t matter. It’s imperative we don’t get overly critical and trash a truly historic moment. Where does WWE go with Dolph Ziggler and Seth Rollins after Survivor Series? Dolph Ziggler and Seth Rollins are still in great positions to be elevated as top workers. If I had to pick one, I would give the edge to Rollins but not by much. Ziggler is still being booked with confidence and it should bode well for his future. He’s overcame a lot — injuries and politics not withstanding - so I hope he gets a viable shot. It sure looks like it’s going to stick but his booking over the next month is very important because anyone not established for the Road to Wrestlemania 31 is going to be sent to the back burner. The fact Rollins has the briefcase is going to keep him looming, regardless of his next program. Now that Sting is with WWE, who’s the next “big name” you would like to see in WWE? Sting was the greatest wrestler to never wrestle in WWE and that’s going to change. I don’t think there’s currently anyone active that could have the same impact as Sting. As for talent WWE could bring back, Bill Goldberg is still a name that interests fans as is Steve Austin, The Rock, Kurt Angle, Jeff Hardy and Bully Ray. AJ Styles is someone that I believe the WWE audience would embrace but he’s not someone like Sting that’s going to be able to walk right into the main event. The same goes for many of TNA’s top guys such as Samoa Joe and Bobby Roode. While I believe they could find success in WWE if given a chance, no one is going to top Sting. It will be interesting to see if Vince McMahon feels Sting and Brock Lesnar are enough or if he tries to get The Rock and/or Undertaker on next year’s Wrestlemania 31 pay-per-view. It’s my hope that WWE is able to integrate the part-time talent to help elevate some of their up and coming talent that is flourishing.